Jumbo, also known as Jumbo the Elephant and Jumbo the Circus Elephant, was a 19th-century male African bush elephant born in Sudan. Jumbo was exported to Jardin des Plantes, a zoo in Paris, and then transferred in 1865 to London Zoo in England. 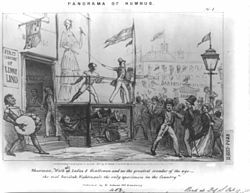 Despite public protest, Jumbo was sold to P. T. Barnum, who took him to the United States for exhibition in March 1882. James Anthony Bailey, born James Anthony McGinnis, was an American circus ringmaster and impresario. Hachaliah Bailey was the founder of one of America's earliest circuses. In 1808, he purchased an Indian elephant which he named "Old Bet" and which was one of the first such animals to reach America. With "Old Bet" as its main attraction, he formed the Bailey Circus, which also included a trained dog, several pigs, a horse and four wagons. 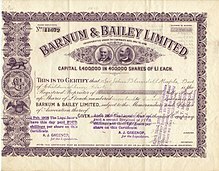 This was the impetus for what in time evolved into the Bailey component of what became the Ringling Bros. and Barnum & Bailey Circus. Charles Sherwood Stratton, better known by his stage name "General Tom Thumb", was a dwarf who achieved great fame as a performer under circus pioneer P.T. Barnum. The Mighty Barnum is a 1934 film starring Wallace Beery as P.T. Barnum. The movie was written by Gene Fowler and Bess Meredyth, and directed by Walter Lang. 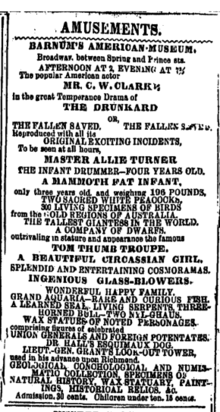 Beery had played Barnum four years earlier in A Lady's Morals, a highly fictionalized biography of singer Jenny Lind. The supporting cast features Adolphe Menjou, Virginia Bruce as Jenny Lind, and Rochelle Hudson. The Barnum Museum is a museum at 820 Main Street in Bridgeport, Connecticut, United States. It has an extensive collection related to P. T. Barnum and the history of Bridgeport, and is housed in a historic building on the National Register of Historic Places. Iranistan was a Moorish Revival mansion in Bridgeport, Connecticut commissioned by P. T. Barnum in 1848. It was designed by Bohemian-American architect Leopold Eidlitz. At this "beautiful country seat" Barnum played host to such famous contemporaries as the Hutchinson Family Singers, Matthew Arnold, George Custer, Horace Greeley, and Mark Twain. The grandiose structure survived only a decade before being destroyed by fire in 1857. It was one of five such fires in the showman's life that "burned to the ground all his accomplishments". Huldah Pierce Warren (Bump) Newell, better known as Minnie Warren, who was a proportionate dwarf and an entertainer associated with P. T. Barnum. Her sister Lavinia Warren was married to General Tom Thumb. They were very well known in 1860s America and their meeting with Abraham Lincoln was covered in the press. George Washington Morrison Nutt, stage named Commodore Nutt, was an American entertainer. He was a dwarf born in New Hampshire. 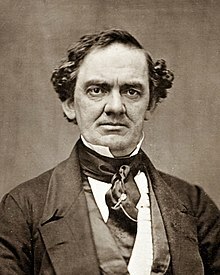 In 1861, he was touring New England with a circus when P. T. Barnum hired him to appear at the American Museum in New York City. Barnum gave Nutt the stage name Commodore Nutt, a wardrobe that included naval uniforms, and a miniature carriage in the shape of an English walnut. Nutt became one of the Museum's major attractions. 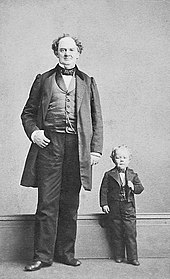 Edmund Newell, better known as General Grant Jr. or Major Edward Newell, was a 19th-century dwarf who gained fame as an associate of P. T. Barnum. He was born in Chicago, Illinois, to Edmund S. Newell and Sarah Ellen Jimmerson.